Former astronaut Dr. Ronald Sega, professor and director of Colorado State University’s Systems Engineering Program. September 11, 2016 – Seventeen days, 12 hours, 25 minutes. That’s how long former NASA astronaut Dr. Ronald Sega, professor and director of Colorado State University’s Systems Engineering Program, was in space. In October, Governor John W. Hickenlooper will formally welcome Sega into the Colorado Space Heroes Hall of Fame, in recognition of his work as a NASA astronaut; as director of Systems Engineering at Colorado State University; as director of research engineering at the Department of Defense; and for his leadership in the U.S. Air Force Reserve as a retired Major General. “The establishment of the Colorado Space Heroes Hall of Fame speaks highly of what Colorado has done for space. Personally, I’m really honored and humbled to be a part of that group,” Sega said. Early in his career, Sega caught the bug of the much-hyped early space programs, and was encouraged to study science and math. A native of Ohio, Sega graduated from the U.S. Air Force Academy in Colorado Springs in 1974 with a degree in mathematics and physics. He earned his master’s degree in physics from The Ohio State University in 1975 and his Ph.D. in electrical engineering from the University of Colorado-Boulder in 1982, after which he began teaching at the University of Colorado-Colorado Springs. Despite his interest in the program, he did not apply for admission to the NASA astronaut program until the late 1980s, after establishing a career grounded firmly in the principles of science, math, and engineering. He was selected from his first application. Sega joined the NASA Astronaut Corps in 1990, where he went through a year-long training program, officially becoming an astronaut in 1991. His first space flight, STS-60, was also the first joint U.S./Russian Space Shuttle mission. The goal of the mission was to deploy the Wake Shield Facility (WSF), an experimental science platform. Despite some hardware issues, WSF was successfully deployed at the end of the space shuttle Discovery’s robotic arm. “Teamwork was incredibly important in this situation, and helped make the mission successful,” Sega said. He uses this mission as an example in the Foundations of Systems Engineering (ENGR 501) course he teaches to illustrate the importance of systems engineering to real-world applications, but also to stress the importance of collaboration. In addition to the WSF mission, Sega was part of STS-76, the third docking mission to the Russian space station Mir. Also, while he served as NASA Director of Operations in Star City, Russia, Sega became the first American to train in the Russian EVA suit in their underwater facility, the Hydrolab. 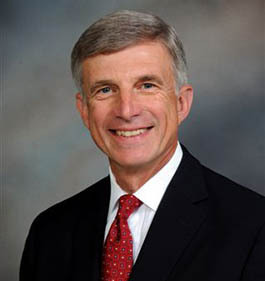 Sega returned to UCCS in 1996 to become dean of the College of Engineering and Applied Science, a position he held until 2001. He then joined the Department of Defense as director of defense research and engineering – the chief technological officer in the department. Throughout Sega’s career as pilot, professor, director at the DoD, astronaut, and more, there is one common thread: systems engineering. Sega, who joined the CSU faculty in 2007, is passionate about promoting systems engineering as a guiding set of principles for all engineering disciplines. “Systems engineering fits really well with CSU’s land-grant mission, as it’s the basis of solving practical, complex systems, engaging with economic development, and supporting national security efforts,” he said. World Space Week on October 7, 2016, will celebrate the first honorees to be inducted into the Colorado Space Heroes Hall of Fame. It will also serve as a fundraiser to support the STEM education programs, and related space awareness activities, of the Space Foundation. The Colorado Space Heroes Hall of Fame will live virtually on the internet, and may later find a permanent physical presence at the Space Foundation Discovery Center space museum and education center in Colorado Springs.